I wasn't blessed with beautiful curly hair like some girls. It's the same old argument of "straight haired girls want curls and curly haired girls want it straight" and I definitely apply in this situation! Although I don't mind my natural hair, which is really quite straight, I have always envied those girls with beautiful natural curls..where they can just wake up and their hair looks beautiful as it is. *sighs* Sooo after years of trying to find ways to curl it such as using a hair curler, hair straightener, rollers...nothing worked well and my hair always eventually dropped out. Perhaps I just need to master those other things..and maybe the issue is me? I AM a complete hair novice after all. I FINALLY FOUND A VIDEO THAT ACTUALLY WORKED! Whoever this girl is....YOU ROCK. It is SUCH an easy method which is so effective. I do this right before I go to sleep and then take it out in the morning. I always feel like Hermione Granger in the first Harry Potters with my bouncing curls. All I need is a wand. I use the Bumble & Bumble Surf Spray before I put it up in the buns as I find this helps give a texture to my hair and makes my hair stay curly for longer. If you are someone with long hair I would recommend putting some type of hair product in (whether it be a surf spray or hairspray) as it will help the hair hold its shape better. Anyway I need to stop talking and let the video do the talking. Let me know if you use this type of technique to curl your hair! And feel free to let me know how you curl your hair - any tips for me? 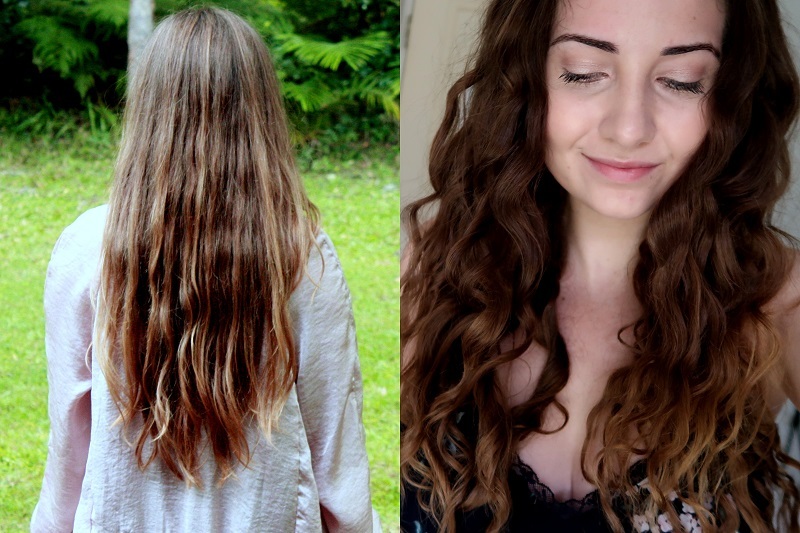 You have gorgeous hair... when it's curly and when it's naturally straight! ...I unfortunately have curly hair and you're right... I would do anything for straight hair! Colourpop Ultra Matte Lip: Worth The Purchase? NYX Big & Loud Lash Primer: A Gimmick or Genius?